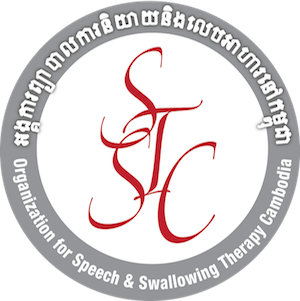 When I began investigating the possibilities of working in Cambodia and establishing what has become Speech Therapy Cambodia, one of my 50 contacts was Annette Jensen, the director of a school that educated children who made their living by scouring garbage dumps. Annette introduced me to a nurse who worked with them and who was based at a major government hospital in Phnom Penh—Khmer Soviet Friendship Hospital, where the poorest of the poor go. This nurse, Thavry, and I had a three-hour dinner at my guest house in January of 2013, and we talked about patients and speech therapy, TBI and stroke, and also about our lives. I loved talking to her and hearing her stories. 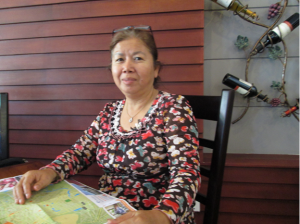 She gave me my first real introduction to Cambodian culture. Thavry was a quick study, and really got what speech and swallowing therapy could do. The next thing I knew, I had an invitation from the vice director of the hospital to volunteer at KSFH. There is a saying in Cambodia that there is always a woman in a village, who is perhaps not the most powerful person, but who is a person everyone listens to. I think this nurse Thavry, now also my friend, was that woman for the “village” of the hospital.